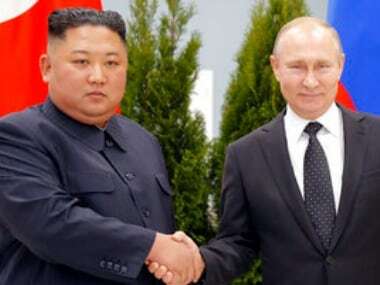 Seoul: It’s unclear whether North Korean leader Kim Jong-un is going to give up his nukes anytime soon, and the same could probably be said for his cigarettes. Footage by Japan’s TBS TV showed Kim, a habitual smoker, taking a pre-dawn smoke break Tuesday at a train station in China hours before his arrival in Vietnam for his high-stakes summit with President Donald Trump over resolving the international standoff over the North’s nuclear weapons and missiles. The video showed Kim puffing a cigarette and talking with North Korean officials at China’s Nanning rail station. A woman who appeared to be his sister Kim Yo-jong, one of the most powerful individuals in North Korea, is seen holding a crystal ashtray. Also seen on the platform is Hyon Song-wol, a North Korean ruling party elite and the leader of the famous Moranbong girl band hand-picked by Kim Jong-un. Hyon’s inclusion in Kim’s delegation has raised speculation that cultural events could be part of the agreements reached between Washington and Pyongyang this week as they look for easier steps to improve relations. Kim arrived in Vietnam on Tuesday after an almost 70-hour train ride that cut through southern China. 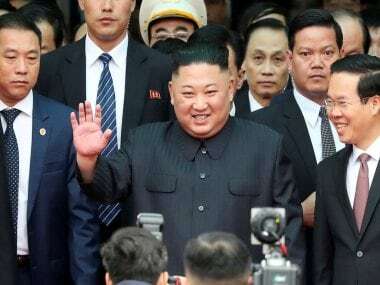 While it remains unclear why Kim chose to travel thousands of miles through China instead of flying into Hanoi, some experts say he could have intended to showcase North Korea’s ties with its major ally China, a crucial leverage in his negotiations with Trump. 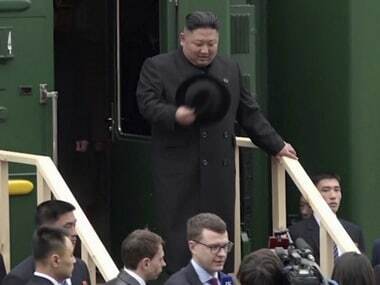 Kim, who has modelled his leadership style after his charismatic grandfather Kim Il Sung, also could have tried to inspire nostalgia among North Koreans about their state founder, who frequently travelled on trains. Despite pushing an anti-smoking campaign in North Korea, Kim is frequently seen with a cigarette in his hands. In July 2017, North Korea’s state broadcaster showed him casually smoking in front of one of his liquid-fuel intercontinental ballistic missiles as it underwent preparations for a test launch. State media also showed Kim and North Korean officials laughing and lighting up cigarettes following the success of the North’s last ICBM test in November 2017.